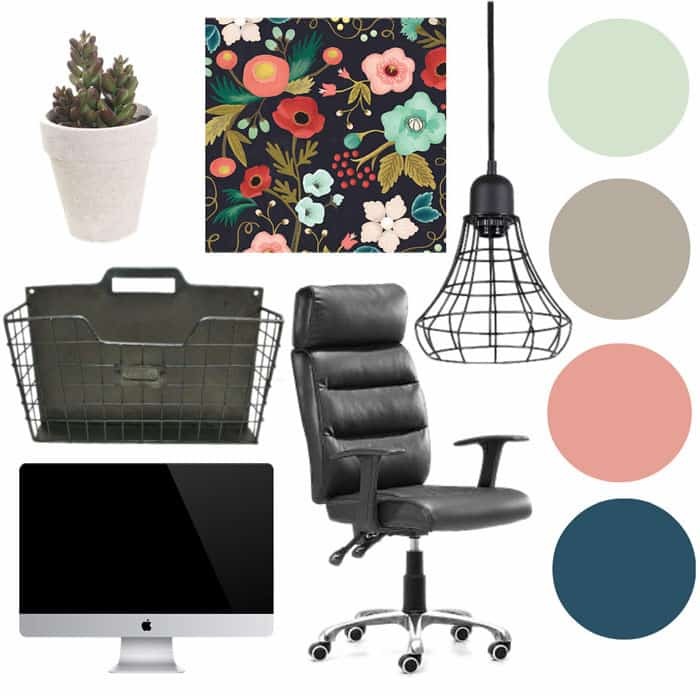 Since the beginning of the new year I’ve been planning on a little home office spiff up. Nothing major, just a new splash of color, a little more light, a space that I’m eager to work in, and don’t cringe at the complete mess and lack of organization each time I sit down to do a little work (maybe cleaning is what I actually need, but we’ll call it a makeover to disguise the dust). 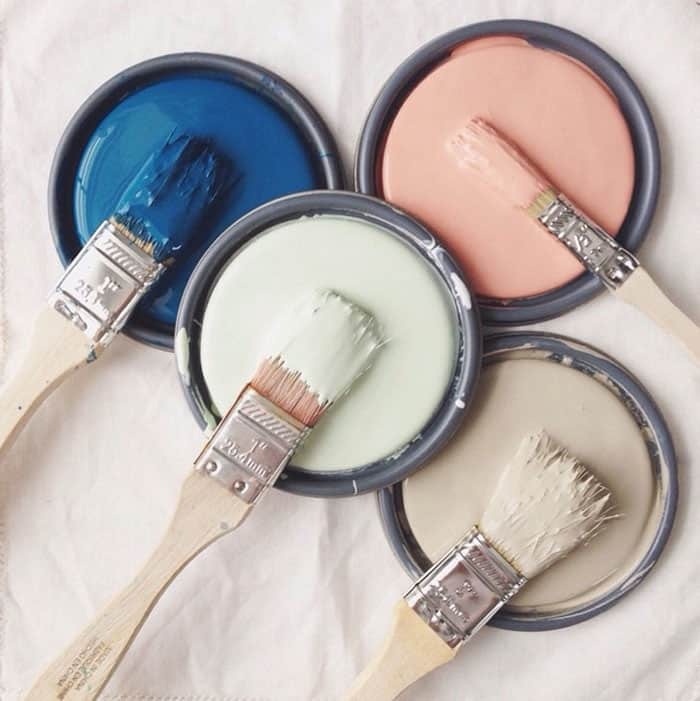 This color palette from PPG Voice of Color (Lime Flip PPG1223-3, Desert Dune PPG1023-4, Coral blush PPG1191-4, Plymouth Blue PPG13-27) Is soft tones that will breath a bit of life into my boring workspace. I keep saying I’m done using mint and coral in my home but it seems to creep back in! 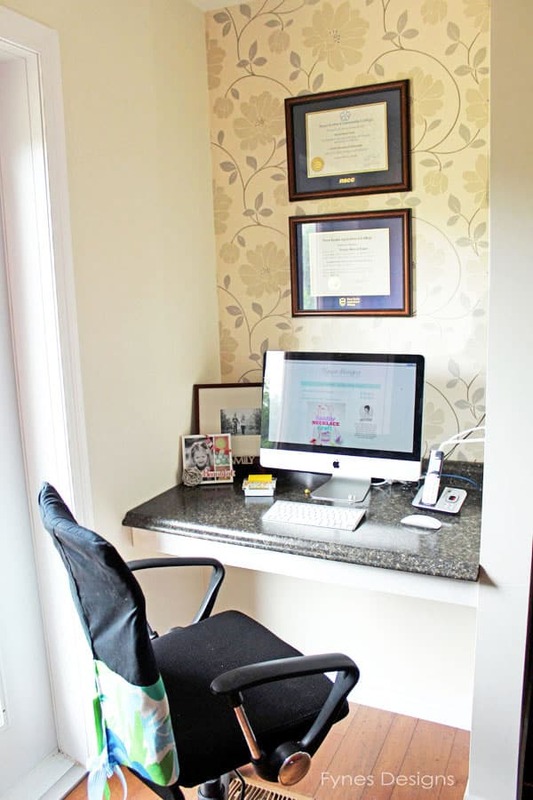 Above is the office space now… well a much tidier version of now. As you can see, its quite blah. No personality, no creativeness, nothing to make me smile or encourage me to do my best work. Plus terribly un- ergonomic. Who knew one could get hurt just sitting and staring at a computer?! So down comes the wallpaper, and on goes the paint! This closet that I converted last year (you can read all about it here) is directly behind the chair. It has proved to be a great use of the unused closet space, but again not very functional because it lacks organization. Plu that teal color made me cringe every time I looked at it. The closet is what you can see when you’re looking over from the kitchen, and the doors rarely get closed. I had thought about taking the doors right off, but I do like the option of closing them when we have guests over. Now the kids keep most of their toys in the basement, and I’ve since got a Silhouette that lives in there, which opens up a whole new can of supplies that need a home. I can’t wait to get this makeover finished so I can share it with you! Painting is complete, now working on some pieces of artwork and a few installations and I should be back in business! In Bad Need of Closet Storage So I Gave it a Makeover! I can’t wait to see how this turns out! Oh, I love those colours, Virginia! 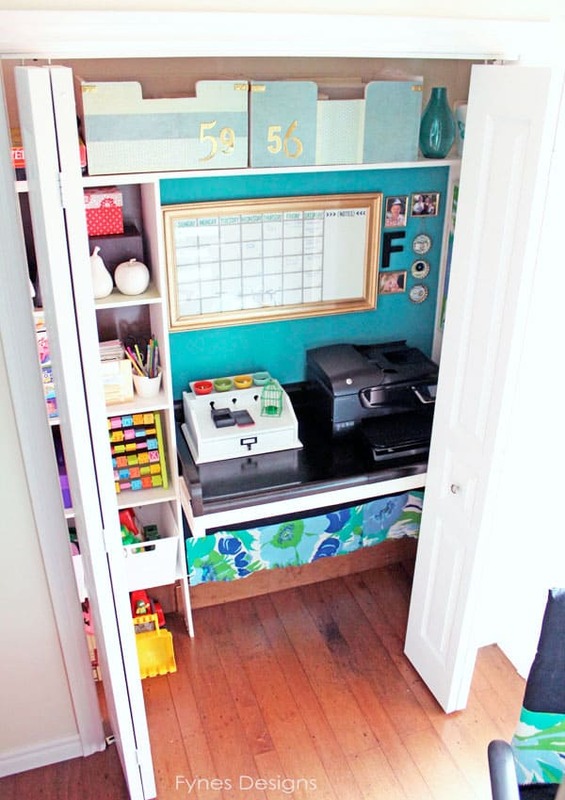 You’re so clever to make the most of your spaces. You should see the chaos I have in one bigger office/craft room. You’re inspiring me to tidy up! I love those colours and especially that wallpaper! Can’t wait to see the results!